SIRHAN SIRHAN: A “REEL BAD” ARAB? On July 20, 2017, William F. Pepper, Ed.D., J.D., spoke at the National Press Club about his previous day’s filing of a 200-page petition regarding Sirhan Sirhan. Sirhan, jailed since 1968, is the alleged killer of Robert F. Kennedy, late New York U.S. senator and Democratic presidential candidate. Organized by Andrew Kreig, J.D., editor of the Justice Integrity Project (http://www.justice-integrity.org/), the well-attended conference enabled Dr. Pepper to discuss his long-sought evidentiary hearing. As Sirhan’s lawyer for many years, Pepper conceded that the legal remedies for his client in the United States have been exhausted–at both the State and federal levels. California, where Kennedy had been murdered in a Los Angeles hotel kitchen, did not assure a fair trial. Essentially, ineffective assistance of counsel got the accused wrongly convicted. Grant Cooper, his attorney, under threat of a sealed felony indictment, did almost nothing to defend Sirhan. He failed to investigate the matter, obtain the autopsy report, or examine ballistics tests. He spent most of the court proceedings arguing that Sirhan was guilty and, that because of diminished capacity, should not be given the death penalty. Sirhan also got no relief in the federal system, neither with with the U.S. District Court for the Central District of California, nor with the extremely liberal and contrarian U.S. Court of Appeals for the 9th Circuit, nor with the U.S. Supreme Court, which declined to review the case. Now, Pepper is staking Sirhan’s chances on the Inter-American Commission on Human Rights (IACHR), an Organization of American States (OAS) body. His goal is either a new trial or an evidentiary hearing. 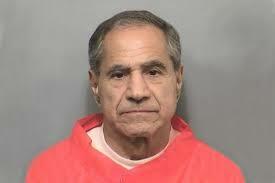 The filing alleges that the California and U.S. justice systems violated Sirhan’s right to a fair trial, as required under the OAS Declaration of the Rights and Duties of Man. By treaty, the IACHR may review U.S. cases and those from 34 other nations when domestic remedies have been exhausted. Pepper, who had been a friend of Martin Luther King, Jr. and Robert F. Kennedy, is known for his winning defense of King’s supposed murderer, James Earle Ray, during a 1993 mock trial on HBO. In a celebrated wrongful death proceeding in 1999, Pepper obtained a symbolic award based on 10 years of dogged pursuit of relevant evidence and witnesses. He is doing the same now with Sirhan. Noting that the U.S. media is controlled, by high level businessmen, bankers, and other influential figures who move in and out of government, such as John J. McCloy one-time U.S. High Commissioner for Germany and member of the Warren Commission, Sirhan’s lawyer said that the “conclusive evidence” reported as news was, in realty, extremely weak. There was never a hearing on the facts, he commented. Such an investigation would have shown that Sirhan, the claimed criminal, was nowhere near Kennedy when the shooting started. Thomas Noguchi, Los Angeles’ chief medical examiner at the time, swore that Kennedy was struck by three shots fired within inches of his body, from behind. Sirhan got off two shots at Kennedy from a six-foot distance, in front. Sirhan was immediately tackled and pinned down while still pulling the trigger on his handgun. However, Sirhan fired only eight shots total yet a carefully-examined sound recording heard thirteen rounds. Moreover, the shots came from different directions. Yet, the Los Angeles Police Department, Pepper revealed, failed to preserve the physical evidence from the crime scene, such as ceiling tiles, doors, and door frames with bullets buried in them. The cops’ excuse? There was no space in which to store them. Pepper went on to say that the Los Angeles police had long-standing and very close ties to the Central Intelligence Agency (CIA). The suspicion is, Pepper remarked, that Sirhan appeared to fit the parameters of the infamous CIA drug and consciousness-altering program, MK-ULTRA. (Its former director, Sid Gottlieb, destroyed most of the operation’s records in 1973.) Dr. Daniel Brown, Harvard Medical School, spent nearly 70 hours examining Sirhan through hypnosis and questioning, concluding that the Palestinian Christian had undergone a variety of procedures coupled with drugs to make him controllable. Notably, Pepper said, this could have occurred while Sirhan had mysteriously disappeared for two weeks before the assassination. Seen as a patsy, he was prepped as a distraction while the real murderer fired the close-up shots killing Kennedy, Pepper continued. Sirhan had apparently had a handler, a woman in a polka dot dress, the attorney remarked. She disappeared after she pinched the scapegoat on the neck, apparently triggering Sirhan’s belief that he was really shooting at a paper, man-shaped target from a firing range. COMMENT. Despite Andrew Kreig ‘s extensive and most vigorous efforts, only a few members of the press turned up at the conference: an intern from the Washington Times, a representative from Al-Mayadeen TV, Beirut, along with a knowledgeable White House correspondent for an alternative news site. This appeared to validate Dr. Pepper’s view of the heavily-managed American media. And it bodes ill for what seems to be the attorney’s goal in filing with the OAS–to generate enough adverse publicity to force the United States to re-examine the questionable trial of Sirhan Sirhan. Indeed, a casual search of the Internet turns up a number of references about “conspiracies” revolving around the problematically convicted man. Perhaps everyone involved in this matter should take a look at Dr. Jack Shaheen’s writings on Arabs, notably Reel Bad Arabs: How Hollywood Vilifies A People.